Search engine rankings are very important for marketers when it comes to business and content. I must admit, it took me awhile to get a grip on what this really meant. One of the most important factors that involves getting those search engine rankings up, is link building. Link building just so happens to be one of the least understood topics in online marketing (I know it was for me at least), and not all links are created equally. As a matter of fact, many links that online marketers seek out aren’t even counted in Google as you would expect them to be. Some say that in order to succeed in the search engines, it’s imperative that you follow link building practices and put them in motion. Well, this is somewhat true but I also believe that if you keep pumping out content, especially viral content, you’ll rank organically. But we’ll get into that another time. Today we’re discussing some link building. One way link building– Just think of this as high quality, inbound links. You have control over these links that point to your blog or website. 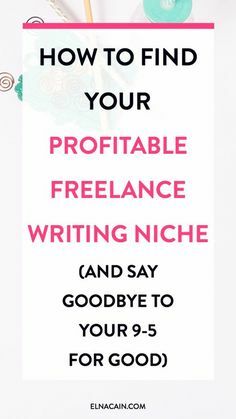 You can do this by doing article marketing, guest blogging, and many other ways. Submitting your content to high quality sites that are related to your niche will potentially bring in a lot of traffic to your site. I made a video about it here. Higher authority – These links are from sites that have established some sort of authority and are well trusted with search engines due to their quality, PR and amount of traffic. You know, the dot gov and dot edu sites? These may be a little difficult to get, so you may not want to spend too much time trying on your own because you could be getting links in somewhere else. Related niche site linking– You don’t want to mess with Google and have a ton of unrelated sites linking to you. That will look suspicious. Use your content and links in places that are within the same market and industry as your business. Build links from within your marketplace click this over here now. That’s the best practice for this. Here are some important factors for link quality evaluation that should be taken into account. Contextual links– This is exactly what you want. It’s the best place you can get links because if your site is mentioned in another site with relevance, Google sees that as having authority and popularity. Nice. Static site generating links – If you can get your link on another blog or website that has some established authority, this speaks volumes to Google. This isn’t hard to do. It’s just a matter of asking the site owner if you can contribute a post with a link back to your site. It’s worth a shot. Commenting on blogs – This can be tedious but blog commenting is very effective for link building. Look for blogs with the CommentLuv plugin and also make sure you have this plugin as well. If you comment on these blogs, you can link back to your site and drive traffic back to your blog also with this method. This is a great way to get ahead in the rankings. Post on niche forums – You can link back to your site in a thread or in your signature on forums related to your niche. Having a mixture of link sources is the best way to appear organic while getting a substantial amount of inbound links. Use every technique you can to get your links out there. What is an anchor text? I wondered the same thing. An anchor text, also known as a hyperlink, is a description of where the link is pointing to. Usually this link is in the form of your keyword or keyword phrase. But it can be other text also. Sending all your links to one page, especially if it’s your home page is a huge mistake. Instead, link to relevant subpages. Use long tail keywords to get your links ranked. Like, instead of using the keyword “brain power” you should be more specific and use something like “how to increase brain power”. 4 words is good for a long tail keyword. The main page of your site will also gain in ranking as a result. Your main focus should be on getting backlinks to pages deep within your site. Also, be sure your anchor texts are relevant to the page or content they’re linking to and not your home page. Ugh! I can’t stress that enough. Anchor text is extremely important in determining the relevance of the link, also helping with rankings. So that wraps this link building session up. These techniques are good to use for getting ranked in the search engines. If you don’t wanna do them yourself, you can always outsource. You’ll see results over time, just keep in mind that consistency is the key to any success. What’s your take on link building?